8-2-Eat is my food-focused list series. A perfect Friday distraction. Beans taste particularly good in the winter, when they can be simmered and flavored as a main star or side to a number of ingredients. Here are 8 ways that I like to enjoy them. Smoky Pinto Bean, Red Wine and Bacon Soup. This recipe, from the New York Times' Melissa Clark, is the best bean soup I've ever had. It's absolutely incredible. Splurge for Benton's Smoked Country Bacon for this one and you won't be disappointed. Apple-Fennel Soup with Beans and Sausage. It's not the cannellini beans the broth that really makes this soup, a puree of apple, fennel, onion, garlic, celery, ginger and sage. 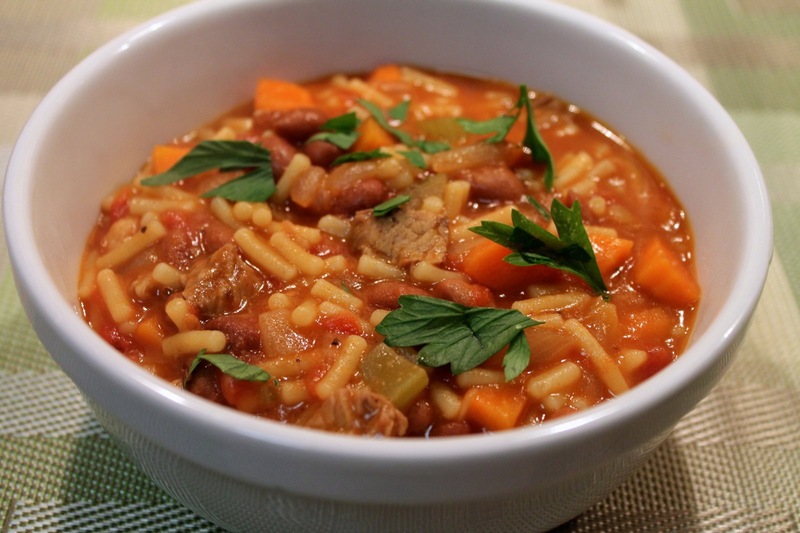 Pasta e Fagioli (Pasta and Bean) Soup. 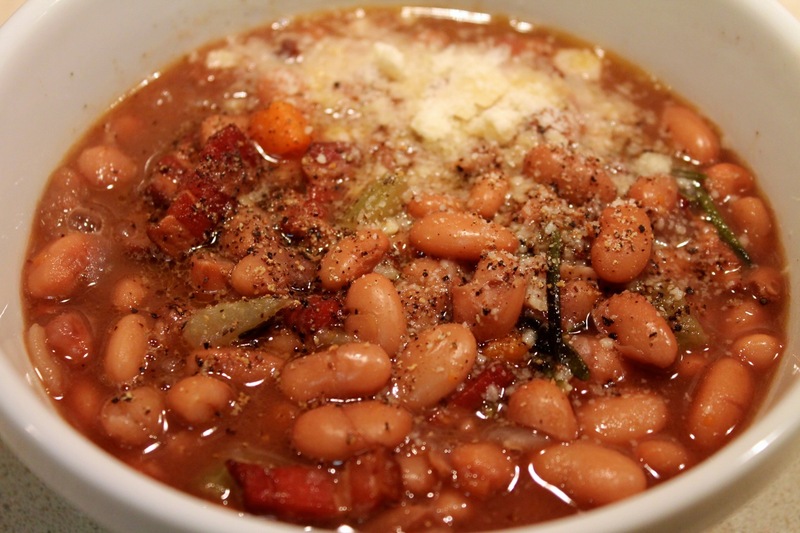 Adapted from a recipe by the late and ever so talented Italian cook Marcella Hazan, this soup, which uses cranberry beans, is much better than what you'll get at that "Italian" chain restaurant. Spicy Beans and Pepperoni on Toast with Fried Eggs. A delicious and easy way to incorporate navy beans into breakfast. Spelt Soup with Escarole and White Beans. Beans, greens and grains are a perfect winter soup trio. Here, cannellini beans team up with the heirloom wheat-grain spelt and bitter green escarole. Quick Black Bean Soup. This is a longtime favorite. Although the version that requires an overnight soak and simmers all afternoon is wonderful, this much quicker version that uses canned black beans is good too and ideal for a weeknight dinner. 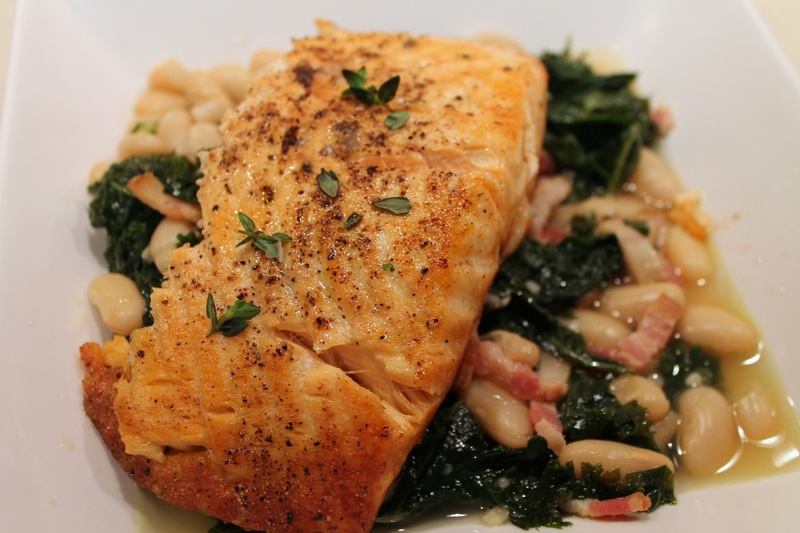 Broiled Salmon with White Bean, Kale and Bacon Ragout. There are a lot of soups on this list, but beans can be used in other ways. Here, cannellini beans, bacon, garlic and kale form a side for broiled salmon. Chili. Whether chili should contain beans is a subject of debate. Sure, if you're making a traditional chili con carne, perhaps not, but there are lots of other types of chili where I saw beans are more than welcome to join the party. Try them in BBQ Turkey Chili, Cincinnati Chili or Thai-Style Chili, a mashup of chili and tom kha gai soup.